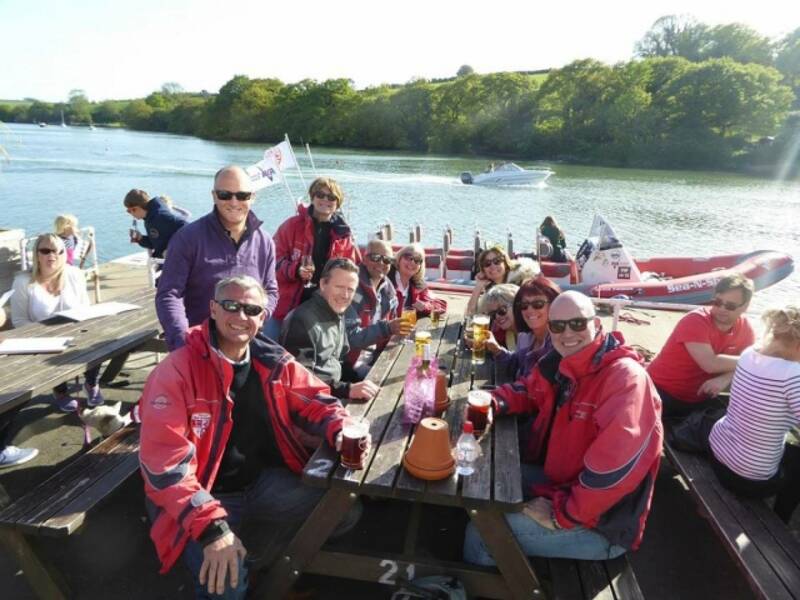 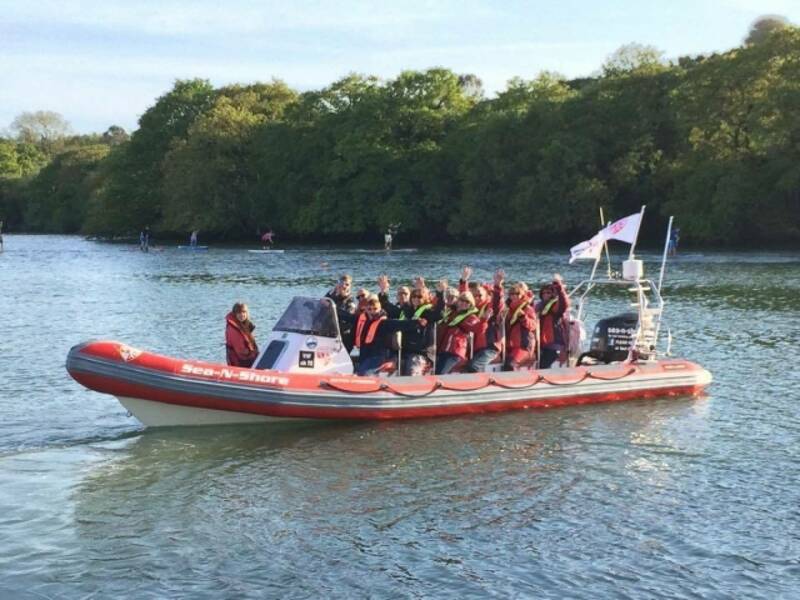 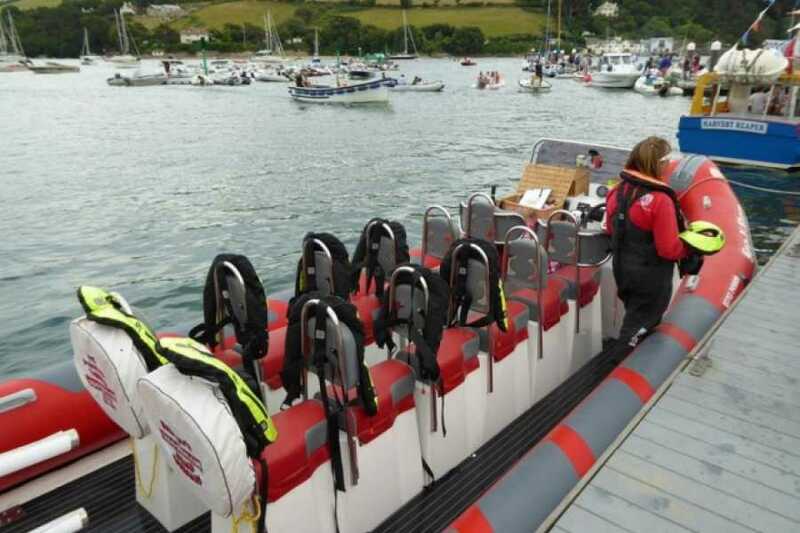 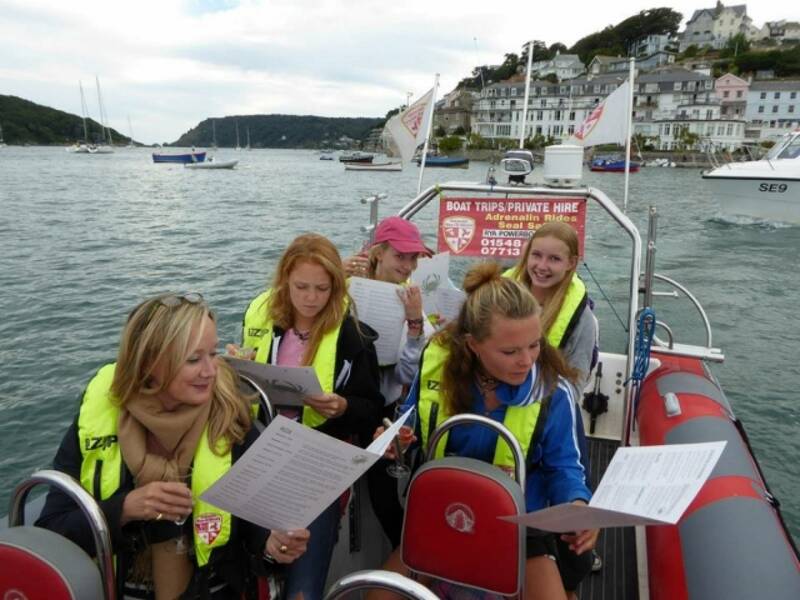 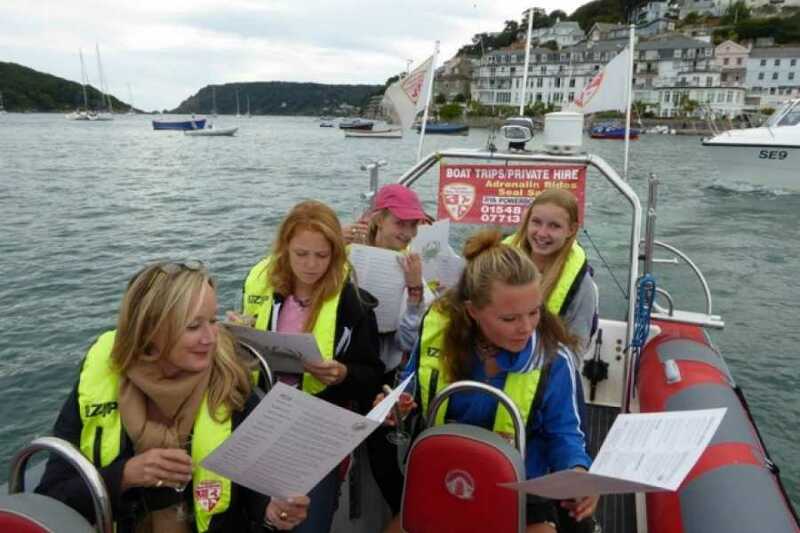 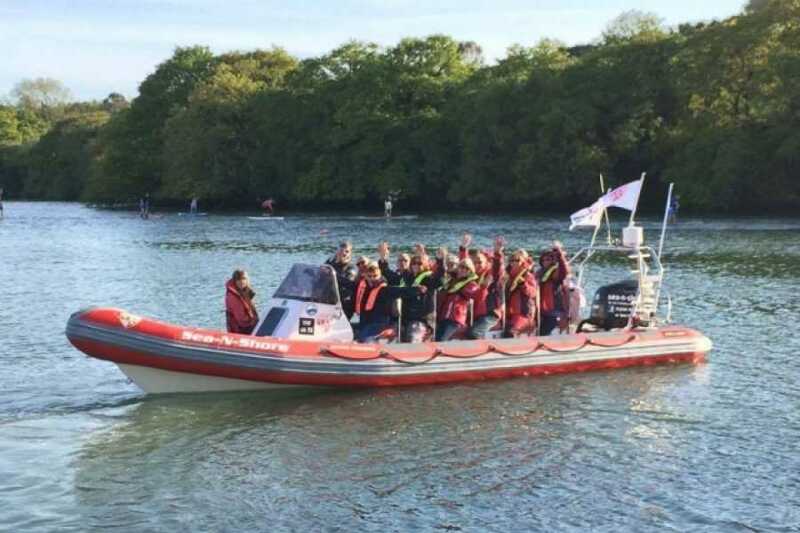 We offer a relaxing slow rib trip from Salcombe Whitestrand Pontoon to The Crabshell Inn in Kingsbridge. 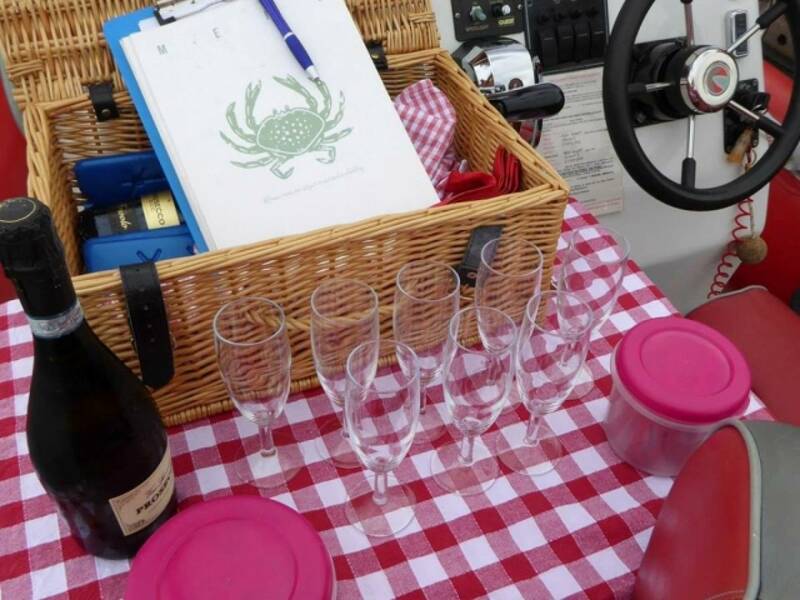 We ask you to either order your drinks and meals before you arrive or choose as we start off and we can phone your order through. 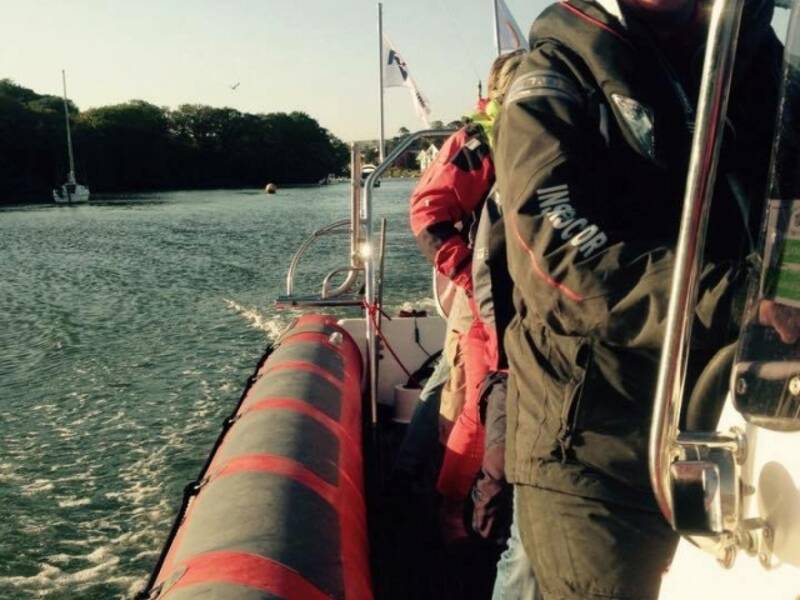 We get you kitted up in full warm waterproofs and lifejackets and brief you on safety. 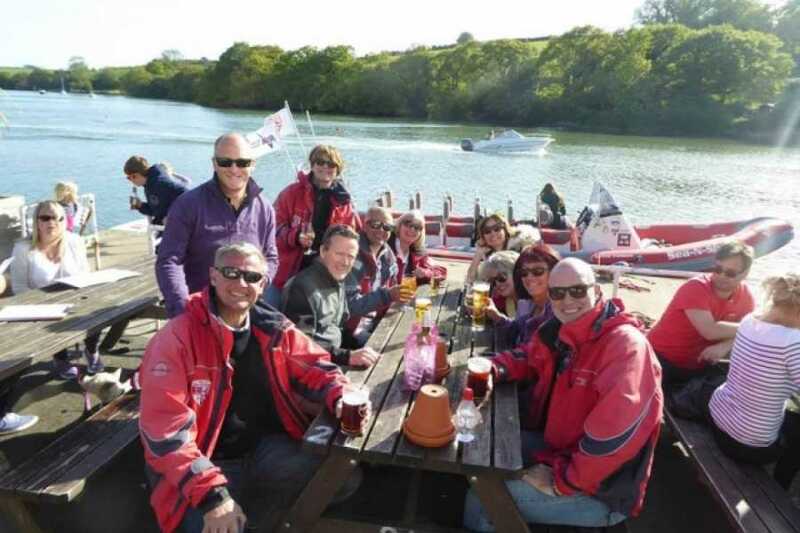 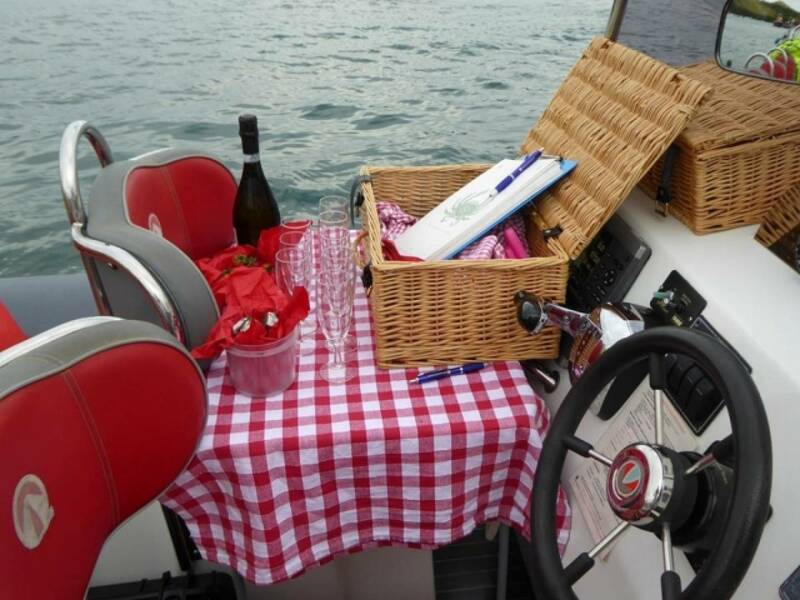 We then take you on a gentle boat trip for around 45 minutes up to Kingsbridge where your drinks and dinner will be waiting for you. 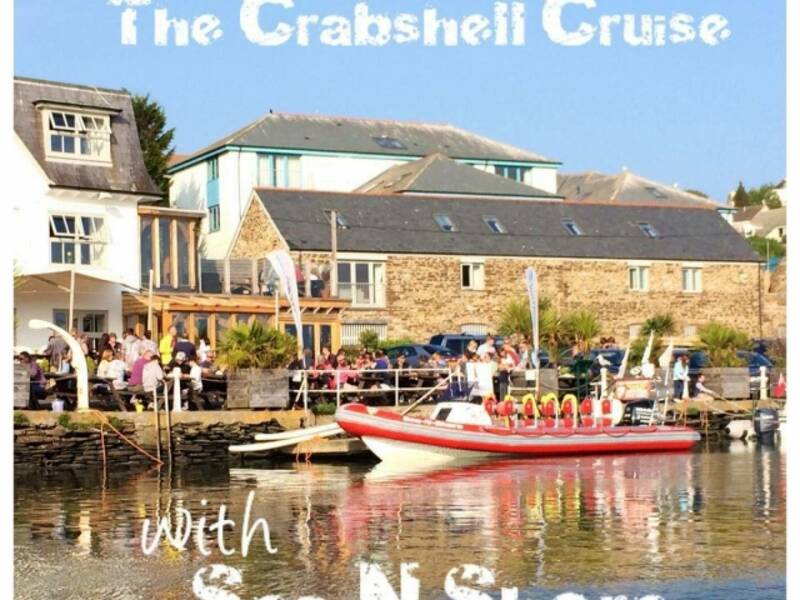 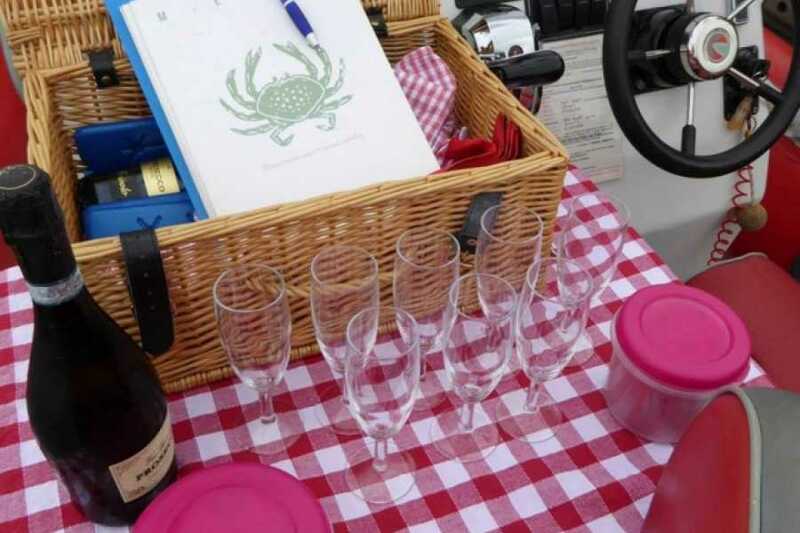 The trip with Sea N Shore does not cover the cost of your drink and meal at the Crabshell, that is payable after your meal to them. 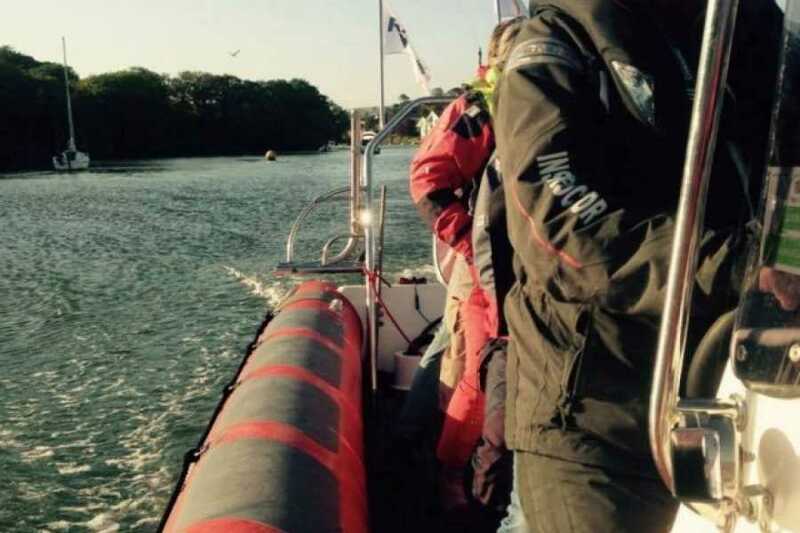 Kingsbridge is only accessable for 2 hours before and 2 hours after every high tide. 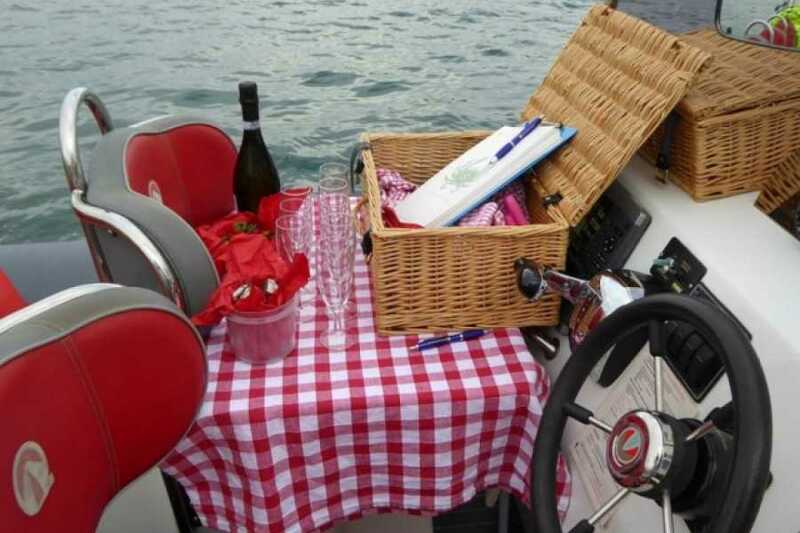 Therefore we have to plan each trip as bespoke and the trip can only go in the early evenings and be back before dark. 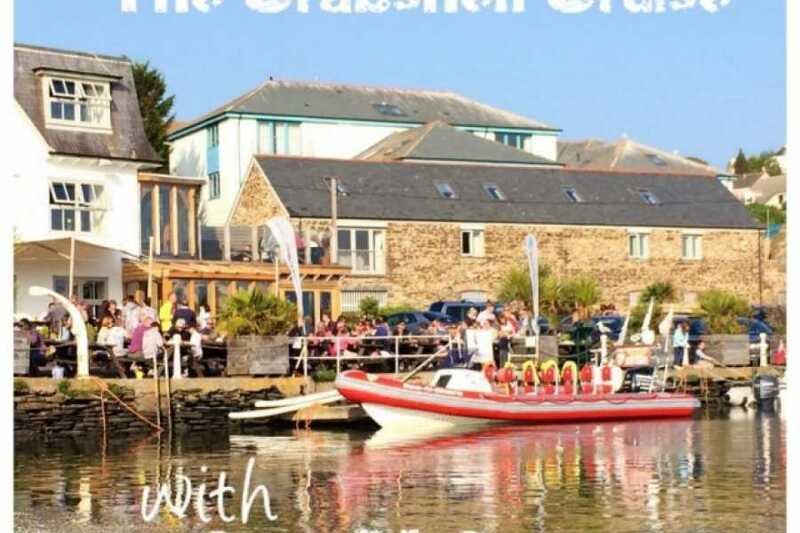 The trip in total, including your meal at The Crabshell, lasts around 3 hours. 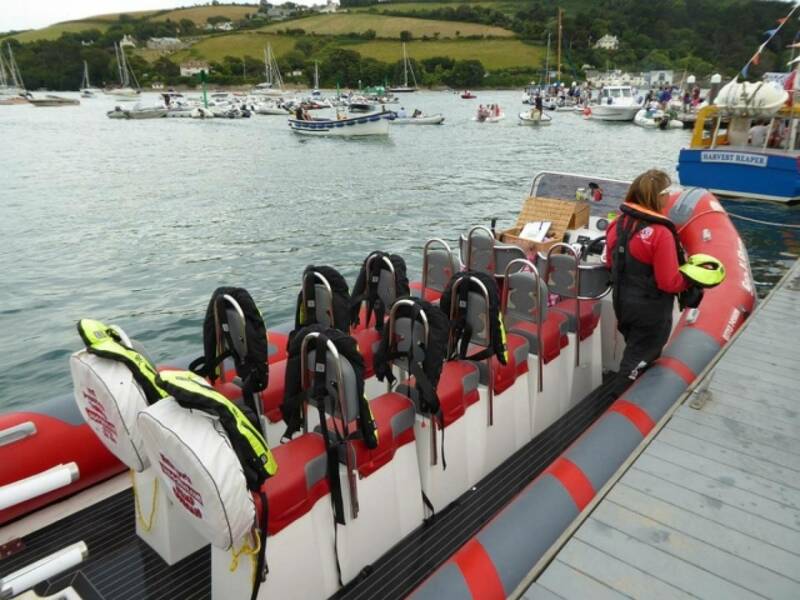 When we have a high tide at around 5-6pm, this usually is the best times to go, we leave for example at 5pm and are back by 8pm.